Science Olympiad is a high school competition in which students compete in events pertaining to different scientific disciplines, from Astronomy, to Herpetology, to Mission Possible. WW-P South's Science Olympiad team has a tradition of excellence. 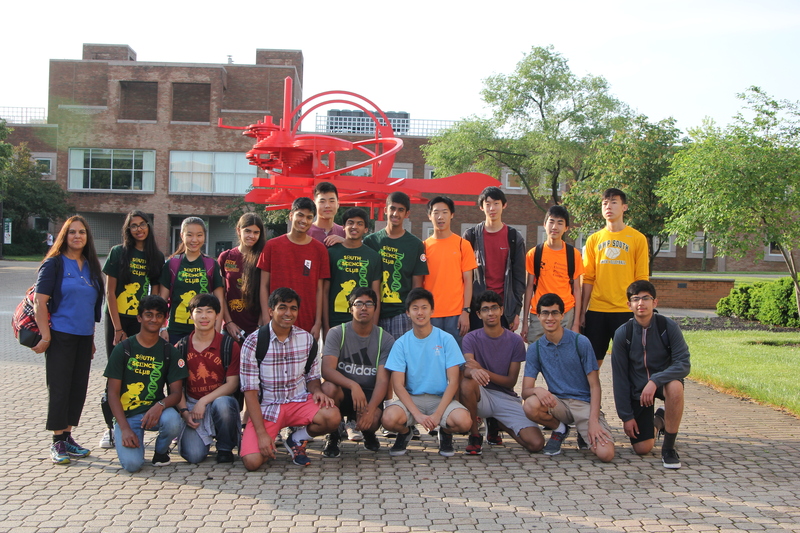 We have represented New Jersey at the National Science Olympiad competition nine times in the past thirteen years by winning the state competition. There are 23 events this year, which can be found here (go to division C). At competition, each team sends a pair of students (in some cases three) to compete in each event. The rules, which can be found on the rules manual for each event are different, but in the end, each team gets a placement in the event according to how well they did, with "1" being the best (first place). The overall results are then determined by adding up the individual placements, with the lowest score winning. There are multiple levels of competition: regional, invitational, state, and national. The information for the regional and state-level competitions can be found here, and those for national tournament here. We also attend invitational competitions, which are currently TBA. We will update the status on the competitions we will attend once it is determined. Preparing for Science Olympiad is a long process. For study events, it involves getting acquainted with the topic of the event, delving deeper into that topic, taking notes on the topic, and, once ready, taking practice tests. For builders, it requires planning the structure, building the structure, and repeatedly testing and adjusting right up to the competition. Obviously, one must have fun while doing so, or it will not be effective. This year, tryouts will occur in late October - November, and typically last two to three weeks. Tryouts are open to anyone interested. Usually, approximately 50 - 70 people try out, and two teams (15 main members plus 3 alternates each) are selected. Naturally, the process is highly competitive, so making the team requires hard work and dedication. Prior experience is not required. Those making the team will attend the regional and invitational tournaments, as well as take a series of quizzes, and their results will determine the members of the team that will compete at States and, if we continue our streak, Nationals. Those who do not make that team can opt to try out for trial events, which will allow them to also compete at Nationals, but only in the trial events.